The "Great" C major Symphony was the last symphony that Schubert composed. It was a “Finished” to follow his "Unfinished", the first two movements of which he had just completed before discontinuing work on it (for reasons unknown). In contrast to his far shorter Sixth Symphony, also in C Major, it was named "the Great" - and is indeed a magnificent work, marking the culmination of his symphonic oeuvre. It is monumental and representative, and was written with large audiences very much in mind. The “Great” C major Symphony was the last symphony that Schubert composed. It was a “Finished” to follow his “Unfinished”, the first two movements of which he had just completed before discontinuing work on it (for reasons unknown). In contrast to his far shorter Sixth Symphony, also in C Major, it was named “the Great” – and is indeed a magnificent work, marking the culmination of his symphonic oeuvre. It is monumental and representative, and was written with large audiences very much in mind. Schubert began this composition in August 1824, or possibly even as late as March 1825. Most of the work on it took place in the summer of 1825, during the longestjourney of his life. It took him from Vienna via Linz, Steyr, Gmunden (where he found the scenery “truly heavenly”), Salzburg and then up to Bad Gastein, where he saw some magnificent alpine peaks. The first page of the score manuscript is dated “March 1828” – possibly the month in which he finally completed the work. On November 19 of that same year, Schubert died at the age of only thirty-one.The symphony was premiered posthumously on March 21, 1839 in the Leipzig Gewandhaus, and conducted by the Gewandhaus Kapellmeister at that time – the 30-year-old Felix Mendelssohn. 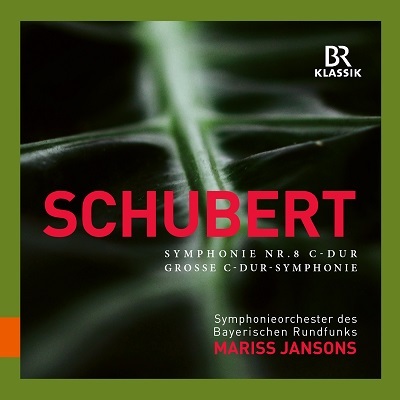 Schubert’s “Great” C Major Symphony D 944 was recently performed on February 1 and 2, 2018 by the Symphonieorchester des Bayerischen Rundfunks under Mariss Jansons, in the Herkulessaal of the Munich Residenz. That live recording has now already been released on CD by BR-KLASSIK. It is a star-studded and outstanding interpretation of one of the most important compositions of the Romantic symphonic repertoire.